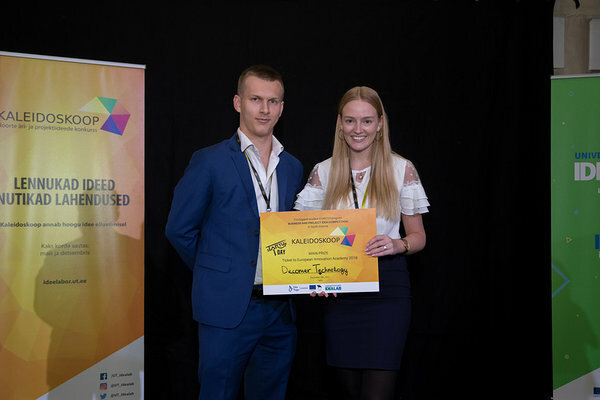 Kaleidoskoop is the biggest students’ business and project ideas competition in South-Estonia, taking place for the 12th time already! In the final round, the 10 best teams will step on the stage to present their business and project ideas. 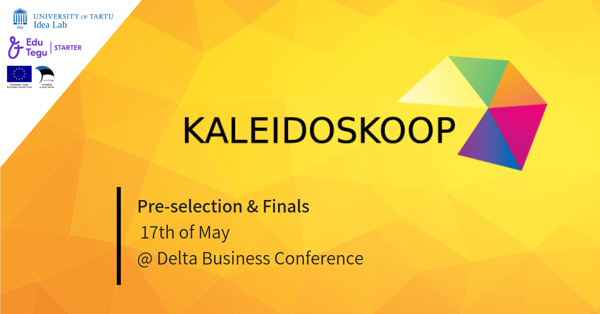 This semester Kaleidoskoop pre-selection round and finals take place on 17th of May at the Delta Business Conference. In the pre-selection round, 10 best teams will be selected to compete in the finals. At least 50% of the team members should be students from universities, vocational or general education schools. All the teams have 3 minutes for a pitch. The teams will have 5 minutes for questions from the jury. 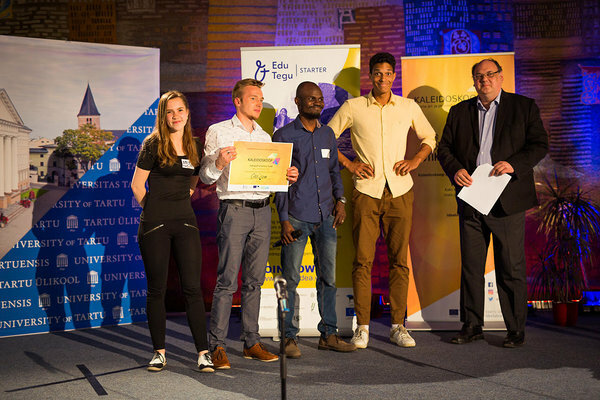 A perfect pitch would include the following information: team name, description of the problem, offered a solution, potential market, competition, business model, the competence of the team. A pitch can be either in English or Estonian. But keep in mind that TOP 10 can only pitch in English! Up to 3 slides can be used. Send them to andres.vaher@ut.ee. Deadline 13th of May. Slides need to be ppt file in size 16x9 and may not contain animations (because these might not work). If more than 3 slides are sent, organizers will select 3 to put to the ppt. There is a slide with the team name for each team. Team must be registered before 13th of May 23:59. 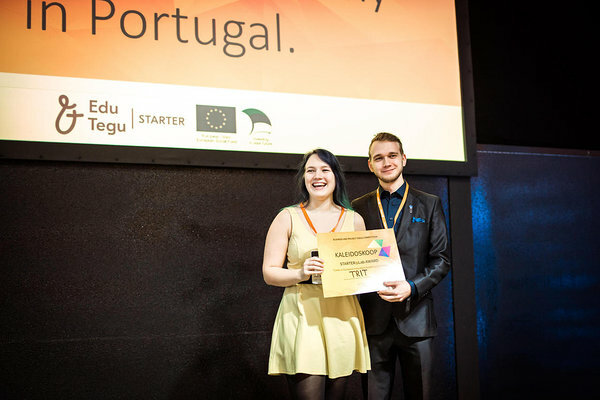 Kaleidoskoop is financed by EU Social Fund.